Join us in celebrating the diversity of a Middlebury education! 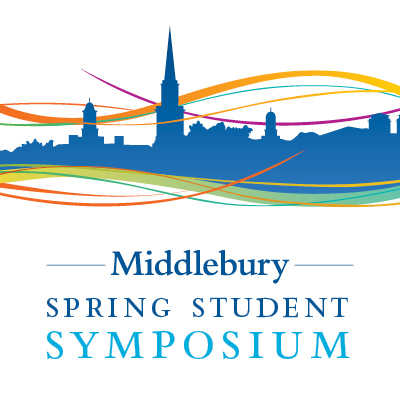 The Spring Student Symposium will begin in the Mahaney Center for the Arts on Thursday night, April 10 with a keynote talk by Vendela Vida ‘93 and student presentations. It will continue all day Friday, April 11, 2014 with activities in McCardell Bicentennial Hall and MCA. Students from all four years and in all departments and programs can participate. If they have done research in a class, independently, or through an internship; or can read, show, or perform a creative work; or have a project to present in a poster or oral format, please encourage them to apply to present their academic work. The deadline is February 28, 2014. More information and the application are available at the Undergraduate Research website at http://go.middlebury.edu/sym. Please remember classes are not held on Friday, April 11th. Please refrain from scheduling any academic or co-curricular events on the evening of Thursday the 10th or during the day and evening of Friday the 11th. This time is reserved for the Spring Student Symposium.